Bali is known with the cultural tourism, this is the spirit of Bali, visitor can see the ritual activities while Bali, Temple Festival, wedding, cremation and many other ritual can see in Bali. The island also offers the beauty panorama such as amazing volcano view, tremendous lake view, splendid rice terrace and beautiful Temple can see in Bali. As the growing of Bali with more tourist visit us, other idea related with tourist business are growing in Bali, we offers like Water sport, Atv ride, Tubing, Rafting, cycling, paragliding, elephant ride, buggy ride, horse ride and other adventure activities can found in Bali. On this page, I share with you, what 3 adventure you must do in Bali. Bali has many river, and we have 2 famous river for doing the river rafting adventure, first we have Ayung river, located close to Ubud, the river has many rapid and drop off with 1,5-2 hours journey with 11 km long, pass the waterfall, cliff carving and see some wild along the river journey, this river can be reached about 1,5 hours from Bali Airport. Second river is Telaga waja, its located at East of Bali, near Mount Agung, take drive about 1,45 menit and you will be in Rendang village, the river is clean like crystal water and has 3-4 rapid and also has the drop off at Bajing Dam with 3 meter jump and also waterfall can see at this river. After Rafting lunch, will served at finish restaurant, Bali Cab driver rafting rate IDR 300,000/person, so book your cab with us then we will take you to the river rafting and after rafting, we may do some stop and sightseeing, its best value for your money if you book the river rafting adventure through us. Whats we can do After or before Doing Ayung River Rafting? Well, after or before the Rafting at Ayung River, we have some option or suggestion to do for our kind guest who been join the tour with Bali Cab driver services. 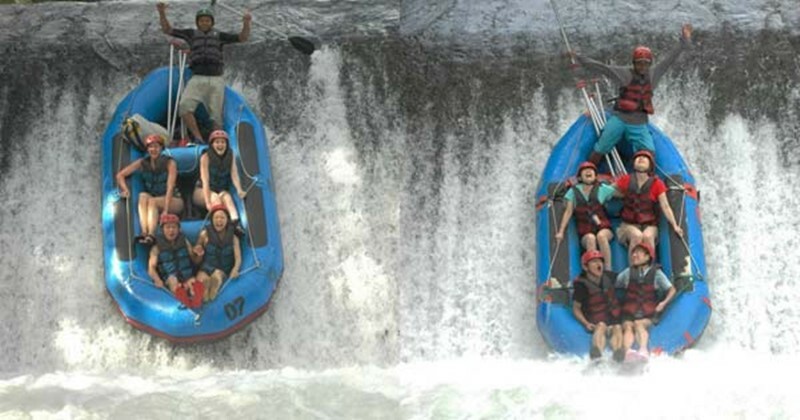 Before and after Rafting, what we can do ? On the way to Ayung River Rafting, we may stop at Artisan village if you love shopping, we may visit Tohpati village as the home of Batik and hand weaving factory and also can visit Celuk village if you love to see the silver smith works an Jewellery collection. We can stop at Bali Bali Bird Park, as the we will pass the park en-route to Rafting Base camp. the Bali bird park has 2 hectar tropical garden with many kind of birds from Indonesia and also some out from Indonesia. We may Stop at Bali Zoo at Singapadu village, we can see many kind wild animal like tiger, lion, birds, petting zoo, Elephant and many others animal. After Rafting, we can drive to Kintamani Volcano for the best sightseeing, we can see the gorgeous view of Batur Volcano and Lake Batur. Drive duration from Rafting Base camp to Kintamani about : about 1 Hours. After Rafting, we can visit Bali Swing at Bongkasa village. Bali Quad or Atv Ride Bali island offers Atv ride as an adventure activities for local and foreigner tourist where you can see Bali from top of you quad, we have some location with average ride 1,5-2 hours trek. First we have at Negari near Ubud with 250cc automatic quad you can see the local and scenery of Negari village, second we have atv ride at Bongkasa village near Sangeh Monkey forest, ride through the village, fields, jungle garden and wet trek will pump your adrenaline, third is Payangan village, located close to the mountain, this ride offers fresh air with jungle, village and wet trek for 2 hours ride. During the ride you will accompanied by guide, all safety equipment provide such as helmet, boots, towel, shower and changing room. After ride lunch will served before we back to hotel. Others atv ride located at Pacung village, Sayan village, rending village and Taro village. Bali Cab driver Atv ride rate IDR 500,000/single and IDR 900,000/tandem ride, book your cab with us then we will take you to enjoy the atv ride experience and feel the adventure. Bali now has many elephant, but not in the wild, we have it at the park, they are imported from Sumatra, they train and well feeds by the park as they will give the ride to the visitors, They Sumatran elephant are found in Sumatra island, they life in the jungle and some have problem with the human as their home is get narrowed as they cut the tree for farming. 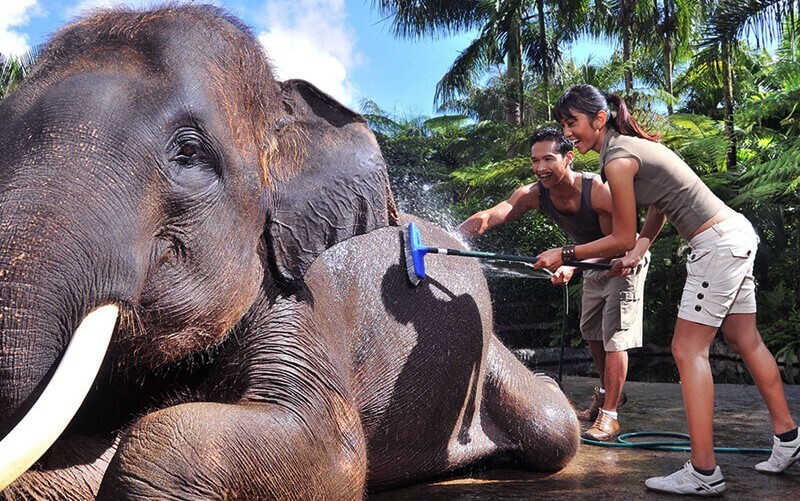 In Bali, we have 4 park for elephant ride, lets start from Klungkung regency,we have Bakas Elephant Park which is offers 30 minute elephant ride through the garden and river view. 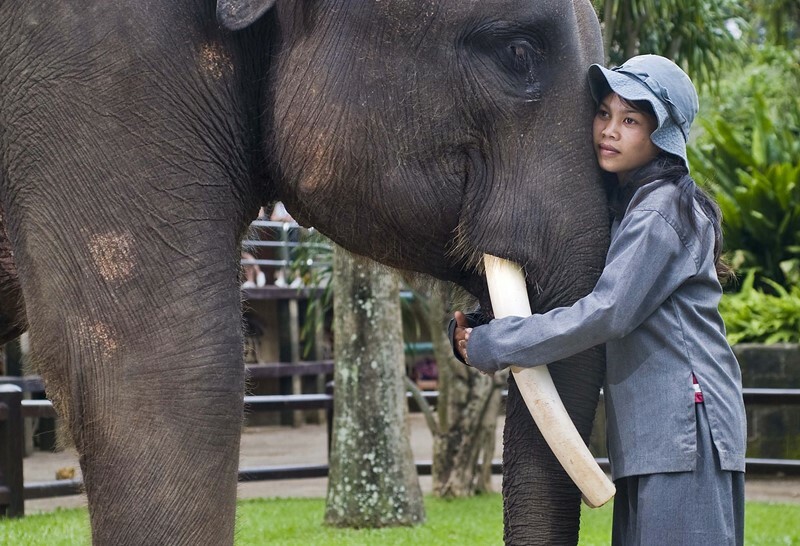 Second located at Badung Regency, we have Bali elephant Camp Park which offers 30 minute elephant ride pass the jungle garden, fields and cross the pool, the park also has pod Chocolate and free visit if you take tke elephant ride at this park, other attraction is the honey bear also can see at this park. Third Park is Bali Zoo at Gianyar Regency, the park has Zoo and elephant ride package. That is 3 adventure or outdoor activities you must try while in Bali. We do hope your will find the good day and most memorable holiday in Bali.